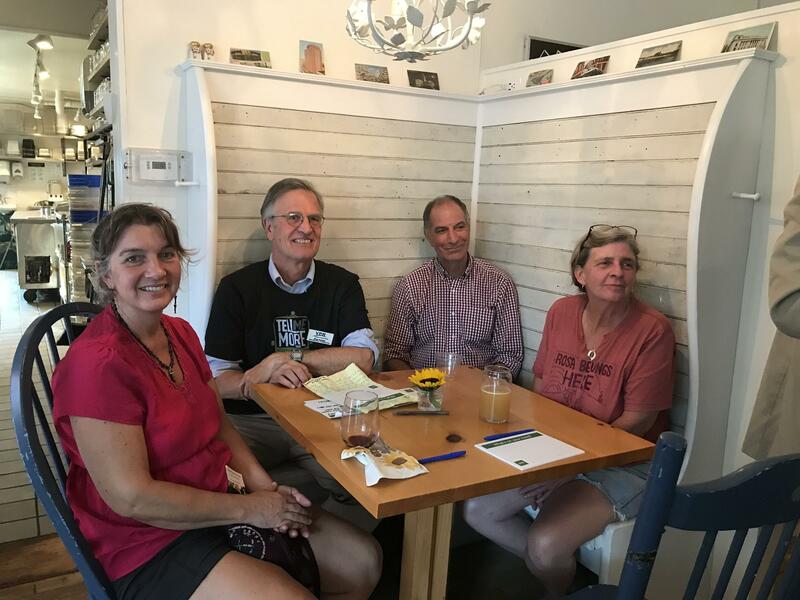 There was a packed house at VPR's Tell Me More Tour event in Montpelier on Aug. 24. Scott Finn addresses the crowd at Down Home Kitchen in Montpelier. 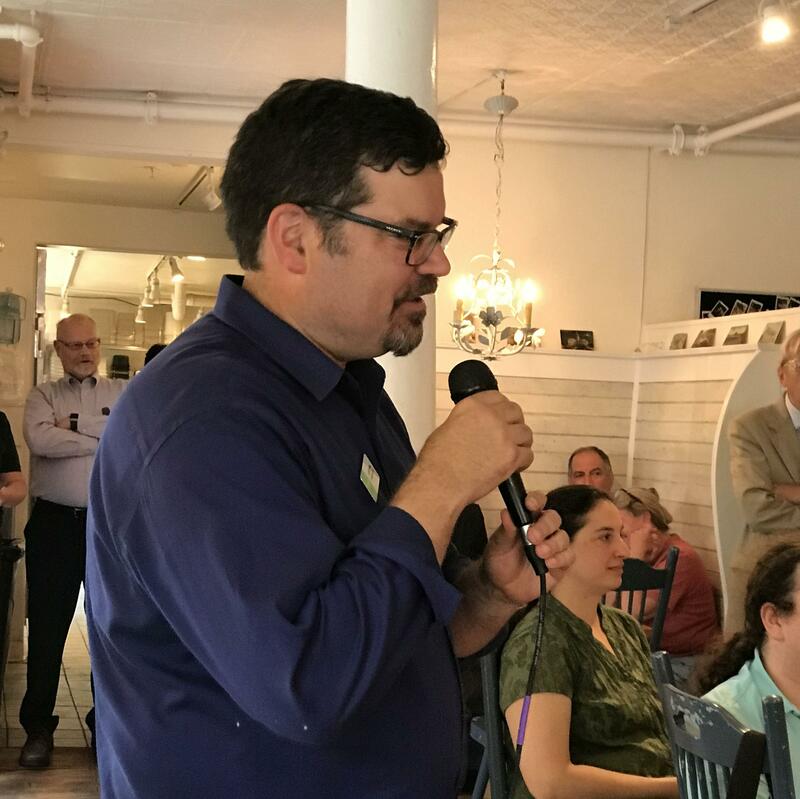 Those are the questions I confronted at VPR’s Tell Me More Tour stop at Down Home Kitchen in Montpelier. It made me think about inclusion, and making everyone feel like they’re part of exploring the whole Vermont story, regardless of their income or technical prowess. A woman at the event bravely stood up and told us that she felt excluded from our station. She doesn’t use email or the internet — but that’s how VPR asks our audience to interact with us. She’s right, of course: email and social media have become the go-to way for us to interact with our audience. And we’ve spent a lot of airtime promoting new ways to listen via smart speakers or our app. And some of our content is only available online. "Vermont Edition" producer Ric Cengeri takes copious notes. Another man shared that he felt excluded in another way. He brought up a recent Vermont Edition about suicide prevention. The show featured three experts in the field, but no one on the panel was there because they had contemplated suicide themselves. He’s right, of course: We should always strive to talk WITH people, not about them. In this case, it is largely a matter of resources. The excellent producers and reporters of Vermont Edition love to get out and interview real people affected by these issues. And as we are able to grow our news staff, we’ll be more able to do this more often. As for the woman without the internet, I think we should remember and include people in that same situation in our communication. On the air, more often, we can share our mailing address (365 Troy Avenue, Colchester, VT 05446) and our toll-free phone number: 1-800-639-2192. VPR tries hard to include everyone. But it’s good to be reminded how we can better explore the WHOLE Vermont story, together. Statehouse reporter Bob Kinzel, second from left, with a group of VPR listeners. 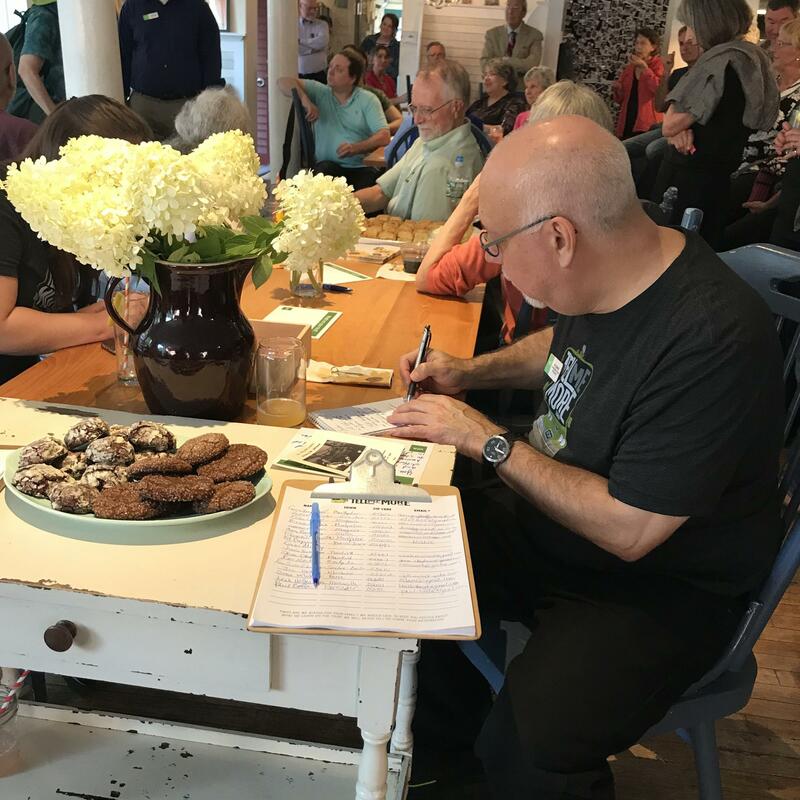 On August 4, VPR’s Tell Me More Tour visited Rutland County, spending the day at the Rutland Farmers Market.